We cannot recommend Kelly enough - she is a fabulous, fun and thoughtful photographer who helped capture our wedding from every aspect! We will treasure our photos always! She (and the team) are absolutely fantastic and really helped to make our special day truly wonderful! From the engagement shoot to the big day, she was a pleasure to work with. Her humour, instruction and relaxed manner helped us to enjoy the experience around the beautiful madness that was our wedding day. We cannot thank the team enough for their commitment and dedication – the planning questions, lists, 1:1 meetings, bramble climbing and sumo stances are just a few examples of the lengths Kelly goes to to make the day as perfect as possible. The team are considerate and prompt - planning a wedding from China was not the easiest of tasks, but they were hugely patient and accommodating which was immeasurably helpful. We love the photos and our beautiful book. Every aspect of the work is finished with the same delicate care and attention - a photographer who truly values the finish of every outcome! Thank you Kelly for ensuring we had a day to remember! Neither of us are great at photos so choosing Kelly has been the best decision. We booked far in advance but met several times before the day. Kelly made sure she knew who was who in the family so she got all the best shots. For people who don’t do photos we did ok(! ), but I am so grateful that we followed her lead and have an amazing album as a result. Kelly made us feel relaxed throughout the whole process. We would absolutely recommend her as your photographer for any special occasions. Kelly is an incredible wedding photographer! We cannot recommend her enough! From start to finish, she provided a professional, friendly service that went above and beyond our expectations. Kelly shows a genuine interest in your wedding planning. She makes an extra effort to get to know you both in order to create unique and creative photographs that reflect of you as a couple, rather than 'generic' wedding poses - this added a real element of fun to our wedding day! During all the meetings we had with Kelly, we always felt so welcome and confident that she would capture our day perfectly - and she did! She is so passionate about what she does and is always thinking of new ideas! Our photographs are STUNNING and are such a special keepsake of one of the most important and memorable days of our lives! THANK YOU SO MUCH KELLY AND TEAM KHP! Choosing Kelly Hearn as our wedding photographer was something of a no-brainer to be perfectly honest. Besides being aware of her outstanding reputation as a creative and innovative photographer, I was also aware of the kind of personal and professional attention to detail we would be getting. I had the pleasure of teaching Kelly throughout her secondary education and found her to have a very strong work ethic; to be extremely motivated and determined; highly personable and popular with both peers and teachers alike; humorous and always smart in appearance. Anyway, enough of the “school report”! Even though I hadn’t seen Kelly for some time, I had followed her career with great interest since photography is one of my main interests. When we first met up with Kelly at her studio to discuss and plan arrangements, nothing had changed except this time she was the teacher and we were her students! All the personal qualities I mentioned earlier were still clearly in evidence whilst Kelly’s genuine interest in our plans and her attention to detail was unsurprising but very reassuring. The day itself was great fun. Kelly was organised, efficient, imaginative and in control meaning everything went smoothly and everyone felt relaxed. The final results were stunning. Planned photographs and those special “in the moment” images were so sharply focused, creative and professionally produced that we doubled the intended number for our wedding album. It goes without saying that not only were we highly impressed with Kelly’s abilities as a top class wedding photographer but I am so proud of Kelly’s achievements since those days in the classroom. I would like to thank Kelly and her team for enjoying our special day with us and providing such wonderful memories. 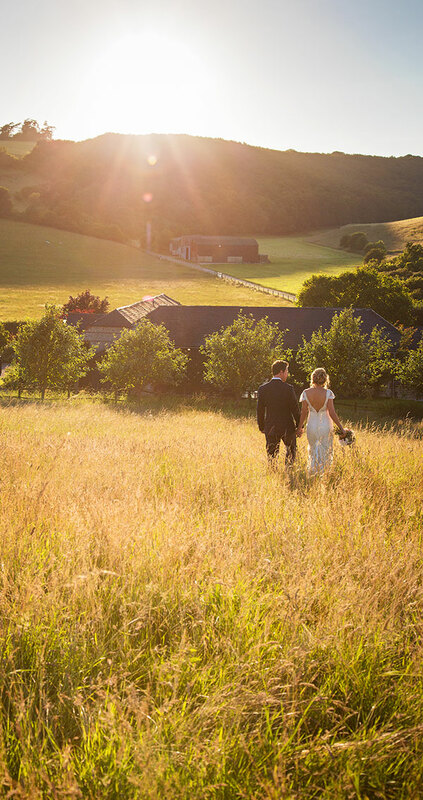 Thank you doesn’t quite do justice to how grateful we are for our beautiful wedding photographs and the stunning way you have presented them in our album - you have truly captured the story of our day from beginning to end. We will look at our photographs with a big smile and treasure them forever! We are so happy we picked you as our photographer. You slotted straight into our day; got everyone involved, made us all laugh and felt just like another friend celebrating with us. Throughout the whole process you have been organised and helpful and kept us at ease. Thank you for being so amazing! 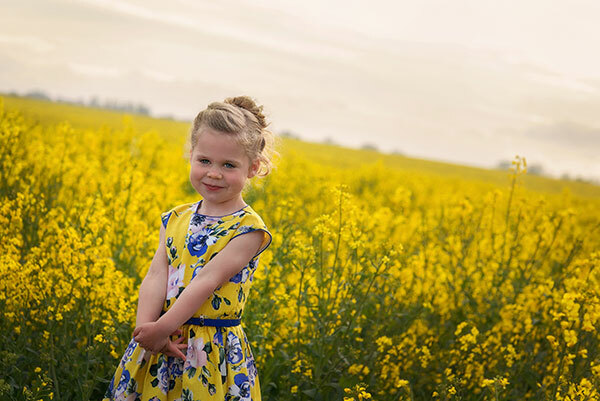 If anyone reading this is considering Kelly as their photographer then we would say not to hesitate! To us the person behind the camera is as important as the photographs, Kelly won’t let you down on either! Kelly is as special, full of character and presence, as the beautiful images she creates. Stay in touch Kelly! Keep up your awesome work! I'm so sorry it's taken us (me) so long to write to you about our beautiful big day, but time just seems to be passing me by!! Both myself and Rich knew from the moment we met you both at Southend Barns wedding fair in January 2016, that you would be our photographers for our big day! We instantly warmed to your infectious personalities and I knew that you had our booking, it didn't matter who else we met along the way, you had sealed the deal! Your photos were exciting, as they steered away from the typical 'staged' photo! And what a perfect choice we made!! In our meetings before the wedding, you ensured you checked what type of photos we were after and tailored them to suit our family! Which was really important to me. The morning of the big day, you and Rachel were so accommodating, even though we made you late to go and shoot the boys! The brides the most important person anyway right?! Haha. 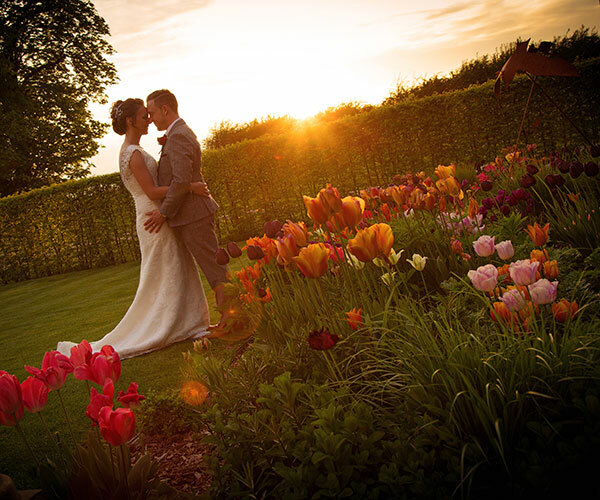 You captured THE most stunning photos of every aspect of our big day. I could not have dreamt of more perfect snap shots of our day! Every guest mentioned how amazing they were, and how wonderful you both were! We cannot thank-you enough for everything you did to contribute to one of the most important and memorable days of our lives! You were both so lovely! And I would recommend you to any one who needed a photographer, to capture any part of their life, not just their wedding day. We first met Kelly at the Southend Barns' Winter Wedding Fair and knew instantly that we had to have her photograph our wedding! We were definitely not disappointed. Kelly was amazing from start to finish, she knew our venue inside out so had lots of great ideas for our big day! We loved having our blog to read while waiting for our album and it was great to share this with our family and friends. When we finally received our album we were overjoyed, the quality was amazing and the thought and time that Kelly had put into making it just perfect was very clear. We are so happy that we chose Kelly to be our wedding photographer and have the most amazing photos to remember our day! Thank you Kelly and the team! Wow! Is the best way to start to explain Kelly’s work. We knew choosing a photographer was one of the most important things to consider when planning our wedding, you need someone that blends with the crowd, puts you at ease and most importantly encapsulates those special moments. Kelly is the truest of professionals, from the initial meetings, engagement shoot through to the big day, then the final edits. Kelly made us laugh, feel relaxed and therefore produced some beautiful natural photos that will be with us forever. Kelly is simply AMAZING! She really is more than a photographer. From the beginning through to the end, Kelly offered endless support, advice and guidance. On the lead up, the day itself and thereafter, Perryn and I felt in safe hands and it was like having a best friend there with you! Kelly’s experience and professionalism shines through, allowing you to relax and have the best day of your lives! We have not long picked up our beautiful album of photos and couldn’t be happier with the results, they are magazine worthy! Kelly is seriously talented and genuinely loves what she does, incorporating a different and artistic take to the “boring staged” typical wedding photo! If you’re thinking about booking her for your wedding, DO IT!!! You won’t be disappointed! Kelly has captured memories we will cherish forever. Thank you so much Kelly for our perfect wedding photos! Kelly and Rachel capturing our special day was so important to us, and the pictures are everything we wanted them to be! The professionalism and skills with the photography are unquestionable and spectacular! Kelly was fabulous on our special day at the very beautiful Upwaltham Church. We are so happy with our album of treasured memories & thank both Kelly & Rachel for all their support from start to finish. 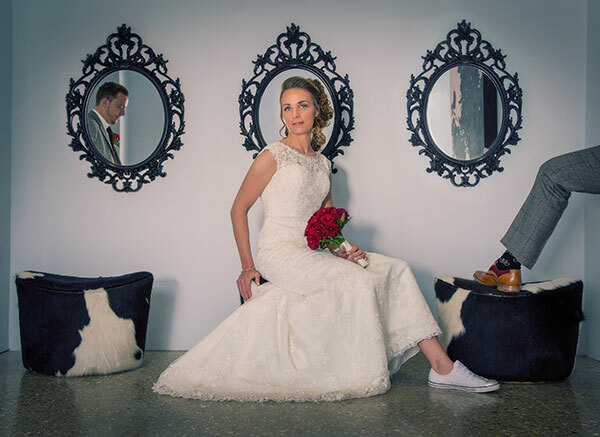 We highly recommend Kelly Hearn Photography for capturing your truly special moments. We were lucky enough to meet Kelly at another wedding and had no hesitation in booking her as soon as we saw the pictures. Kelly and co are brilliant, nothing is too much hassle and they are very aware of timings and not keeping you away from your guests for longer than necessary. Kelly captured the most amazing moments for us and we cannot recommend her enough. She has an eye for detail like no other and is so passionate about what she does, along with being funny, kind and very reasonably priced!! We are so grateful to have had her photograph our wedding and it wouldn't have been the same without them! Kelly is quite simply the best. We received our information pack from Southend Barns and immediately saw Kelly's very professional brochure. I immediately said to my then fiancée that this lady was Wedding Photographer of the year and was a no brainer. Usually people tell you to shop around and usually that would be the advise I would give you, but not when it comes to Kelly Hearn. We went to see Kelly and I can honestly tell you, we hadn't seen anyone before her and nor after her. We were sold from the very first meeting. And it wasn't like she did any hard selling. She showed us her work, which did the selling for her. It was clear and evident how much time and effort went into her work. She was really friendly and completely put us at ease, there was no pressure and a lot of the time it felt like a natural conversation rather than a meeting to decide something important which was great. The samples she showed us were quite simply jaw dropping. She explained after she'd edited a group of photos of our choosing, with specific type of paper for each page, she'd then upload this to Italy where they would be printed. The quality of the albums she showed us were amazing. And when we got ours, it matched that same quality. We left and I think we emailed Kelly within an hour, asking if we could secure the booking. We knew she had to be our photographer. And we were not disappointed. Leading up to the day, she made sure she had all the information she needed from us to give us exactly what we wanted and she gave us helpful, knowing tips along the way, especially as we weren't entirely sure what we exactly wanted. Her part on the day was executed smoothly in a very relaxed but regimented way. She made sure to get us exactly what we wanted, she made jokes and got everyone laughing. Everyone loved her and said how nice she was. And of course, I would be totally remiss to not mention Rachel, a lady who works for Kelly. She was amazing as well throughout the day, assisting Kelly and us to give us the perfect memorable album. The viewing of the photos were amazing, Kelly did it as a slideshow with music. Now, I don't know this for a fact, but I'm pretty sure Kelly picks the music based on the couple, and judging from the blog she made about our wedding (which I haven't mentioned yet!) and the music she chose to play whilst we watched the slideshow she clearly got us as a couple. Again throughout picking which photos to go into our album and the design, she again gave us helpful and knowing tips and suggestions which obviously worked amazingly and made us appreciate her all the more. The blog. Another part of the whole process we were eager for. It clearly showed that Kelly had taken the time to get to know us. She got us, completely as a couple and that's how she makes the service she gives so amazing. Then when we picked up the album, it was kind of an anti climax. It was a wonderful and happy moment to finally pick our photos up and see the album in print for the first time but it was sad because we probably wouldn't see this amazing and creative woman again who had made something to make our wedding unforgettable. Kelly, thank you so much for everything you did and the effort you put in before, during and after our wedding. You've given us these amazing photos, a snapshot into that time, allowing us to go back there anytime we want. You'll definitely be seeing us for shoots for life books and portraits. If you're looking for a wedding photographer or a photographer in general, see Kelly! She's the best. From the very first moment we met Kelly, and throughout subsequent meetings with her, she was professional, friendly and organised; these qualities put us completely at ease on our big day. Whilst we were waiting for our album to be finalised, we were excited to read our wedding blog. It is these little extras that make Kelly and her team stand out from the crowd. We have now got our wedding album and we are absolutely in love with it. The attention to detail, print quality and overall style and appearance surpassed all expectations. Thank you so much Kelly and your team. We had the slight advantage of knowing Kelly through friends, so having seen a few wedding albums already, there was really no other option than to have her capture our big day as well. We knew she would understand exactly what we wanted to achieve – happy, bright and bold images! After meeting with Kelly at her studio to discuss the day and what we had planned, we came away feeling completely at ease that she would take care of everything. We let her know the most important images we wanted, and she took care of the rest. The hardest bit of it all was trying to select the images for our amazing album from so many fantastic shots – it really was tough but yet again, Kelly was there to help advise and guide us through our choices. Thank you so much for producing such a beautiful, colourful album which we can look back on and re-live our day over and over again. Sorry if we have now made you colour blind!! When our original photographer let us down a few months before our wedding, I was secretly quite happy - I had been looking at Kelly's work and loved it, and was delighted that she was then able to photograph our special day. From start to finish, Kelly and her team were simply outstanding. They are extremely friendly and personable, we really looked forward to our appointments. Kelly is meticulous in her planning and attention to detail, and is always looking for new ideas to make each couples wedding photographs unique. We were made to feel very special. It was a delight to have Kelly be a part of our wedding day and we are so so pleased with the final results. We get many compliments on the artistic wedding images we have on our walls, not to mention on the stunning album Kelly created for us. We picked up a card for Kelly at the Upwaltham Barns wedding fair and were immediately wowed by the examples she had on her website. We really liked her style, which is more quirky than traditional but still manages to capture the elegance of the day and the natural fun and excitement unfolding. The first time we actually met Kelly was at her studio and as two people who had never done this before­ and as a bride who doesn't particularly like being photographed ­we were so grateful for the time she took to explain everything. We were put completely at ease through her warm and friendly personality. 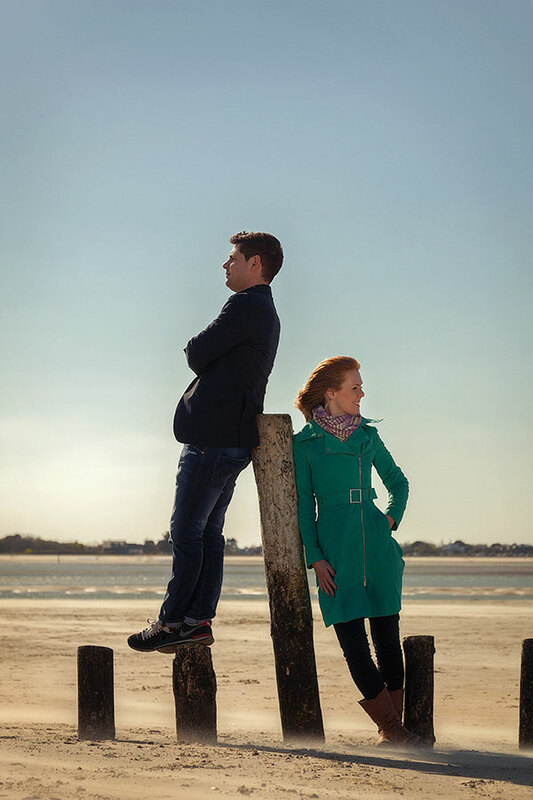 As part of the package, we had an engagement shoot on West Wittering beach. Although the thought filled me with dread it was a great way to become more comfortable in front of the camera and I’d fully recommend it! Kelly did a great job of letting us relax whilst giving enough direction to ensure she got the right shots both then and on the wedding day! At one point she even sat in a puddle (not deliberately) but it resulted in our favourite shot...well worth it!! Throughout the process, Kelly and her team were great at staying in continuous contact and ensuring we had dates in the diary to talk about how the day would run. It was a real relief to know they were on top of things and definitely gave us the confidence that we would have one less thing to worry about on the day. 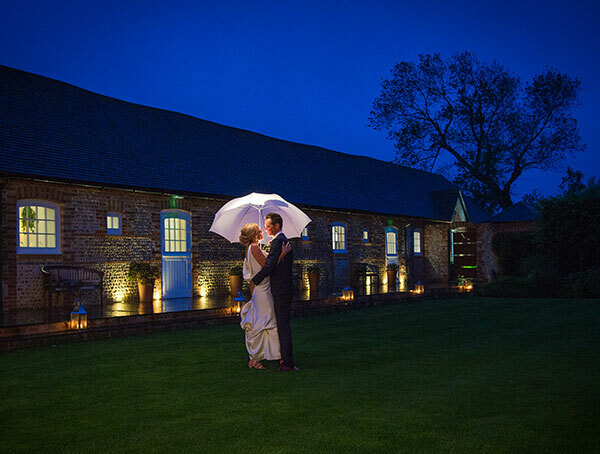 The fact that Kelly is so familiar with Upwaltham Barns as a venue was also an added bonus as it meant she was able to make endless recommendations on different shots and was also fully prepared with a plan B should it start raining,­ it was December after all! 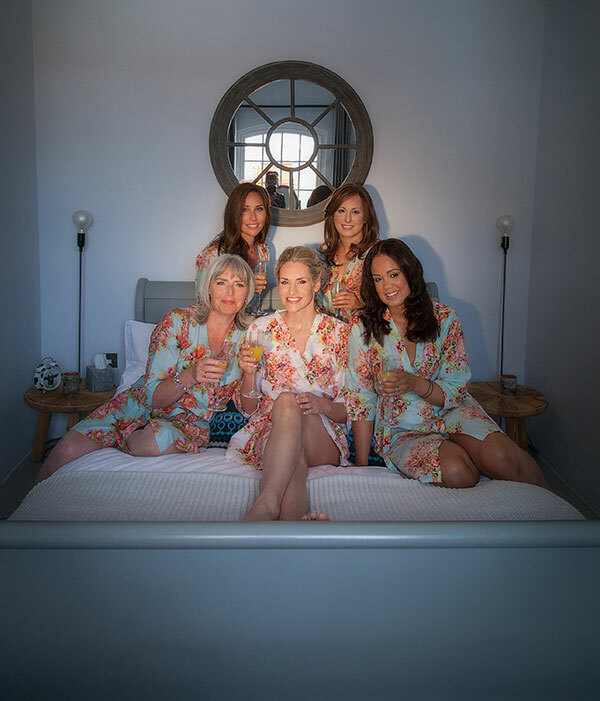 On the day itself, Kelly immediately built up a great rapport with our bridal party and guests, she strikes a really fantastic balance between taking charge when needed while allowing people to be natural and relaxed. So many of our guests actually commented on her lovely demeanour and how great they thought she was in managing the whole process. We couldn't be more pleased with the results and the final album is extremely professional in the way it's put together, I just can’t stop showing everyone! We’d fully recommend Kelly and can’t thank her and her team enough for helping us capture our day in such a stress free, beautiful and personal way! We first noticed Kelly’s work when we were viewing Upwaltham Barns. We got given a handful of photo albums to look through and Kelly’s album stood out! We loved how her photos were a bit quirky, but still professional. We asked the owner of Upwaltham Barns for her details. From first getting in contact with Kelly, right up until the Wedding day itself (even now, after the Wedding) Kelly has been superb. She has looked after us from day one. Kelly explained all of her packages and how she works and what will happen in the lead up to the wedding. We had to book her in before somebody else did! With one email Kelly was booked and we could now relax knowing we had her for our wedding day. Our engagement shoot was one to remember. We all agreed that the woods would be a great contrast from the wedding day itself. We were going for an Autumn/Winter look (sounds like we are modelling for a catalogue). It was 3rd time lucky for the engagement shoot as we had to cancel the previous 2 times because of horrendous weather. We had a great time in the woods and it was a great opportunity to get to know Kelly and how she works and which poses we need to pose in preparation for the wedding. We were joined by a dog who was obsessed with a puddle and throughout the whole shoot, the dog was barking and going crazy. We all had a laugh about it though and it didn’t affect the shoot. In the weeks leading up to the wedding, Kelly was always at the end of an email, even if it was silly little questions, she always replied and reassured us. 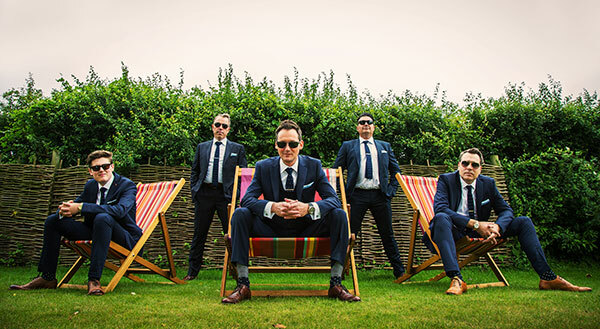 Kelly had previously done a wedding at Old Thorns Manor Hotel, so we knew she would know where to do the best shots. We had our timings meeting with Kelly and we told her which group shots were a must and Kelly worked out what times she had to be where in the morning etc. We felt much more confident knowing everything was in place and we just wanted to get married now! The wedding day came and Kelly was wherever she needed to be. She caught all the getting ready shots in the morning, then throughout the day and night. We had both Kelly’s on our day and they make a great duo! We had such a laugh with them and they worked together so well to make sure all moments were captured. Guests at the wedding said to us how impressed they were of Kelly squared and how they just fitted into the wedding party and didn’t make anyone feel uncomfortable. I can honestly say that Kelly is not only your photographer! She is your wedding planner, bridesmaid, usher and best man! She helps the day run so smoothly and organises everyone as to where they should be. We put all trust in her and she was absolutely brilliant! When we returned from our honeymoon, we visited visit Kelly to view our wedding photos. We were fed tea and cakes whilst viewing them which is always a bonus. It was so hard choosing photos as they were all so good. We chose a selection to make sure it told a story of the day. We can’t wait to finally see the finished album and to show it off to our friends and family. Kelly is outstanding and we can’t recommend her enough! If you want the best possible photography package, Kelly is the full package and more! We will definitely be using Kelly in the future when our life story continues. 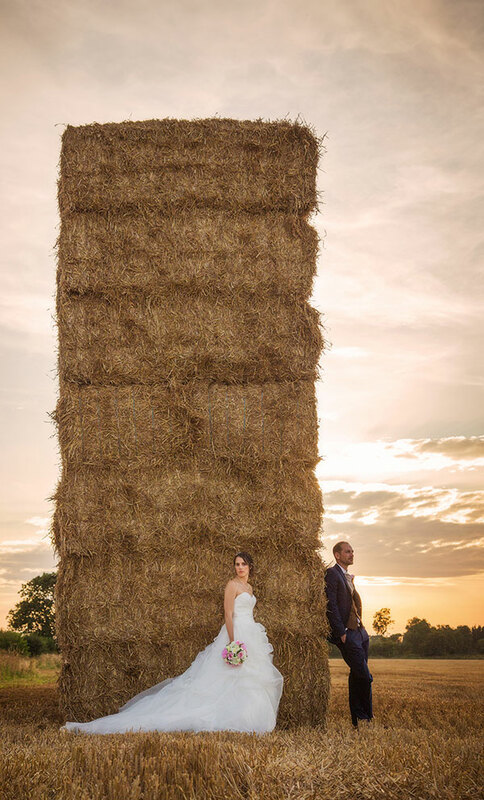 We first met Kelly at the Southend Barns Wedding Fayre, where we were instantly blown away by not just her work, but also her professional, friendly and bubbly approach. After meeting Kelly at her studio and going through all the packages and the kind of shots we liked, we immediately knew we’d made the right choice. Kelly was always prompt and professional when replying to our questions, which really made things so easy, and before long, we were heading to our engagement shoot. Kelly listened to exactly what we wanted, and recommended West Wittering beach as the perfect venue and she wasn’t wrong. Kelly and Josh made us feel at ease straight away, and we were delighted with the outcome. Kelly went above and beyond what is expected, and got wet, sandy and muddy just to make sure she got just what we had wanted. In the weeks leading up to our wedding, Kelly was always on hand to answer questions, and also used her experience of shooting weddings at Southend Barns to help us with our timings and on the big day, it was evident that Kelly’s experience and relationships with the venue staff, made everything run so smoothly. Kelly had done her homework on who was attending our wedding, and was very organised in ensuring all of the necessary guests were included, and all of the shots we had spoken about were taken. So many of our guests commented on how great Kelly was at going un-noticed to get some of the more relaxed shots, saying that they didn’t even feel like they were being photographed, but the pictures Kelly captured were truly breathtaking. We were able to see all of the pictures as soon as we returned from honeymoon, and have recently received the final album, which we could not be happier with. The quality is the best we have ever seen, the layout is brilliantly creative and some of our family have cried at how beautifully Kelly has captured our special day! – They are truly some of the best pictures we have ever seen. We can not thank you enough for all your amazing work at our wedding. I think like most wedding couples when they look for a wedding photographer they look for someone who will turn up and take some pictures and that's it.... How wrong could we have been! You do so so much more than that! From the moment we met you we talked for nearly 2 hours about our wedding and what we were planning. You showed us albums that matched the style we envisaged and talked us through you and your company, all whilst being an incredible and hilarious host. We knew instantly we needed you as our photographer. From there you set up an engagement shoot to get us used to the camera, your direction and to make all the posing for the big day a bit more natural! You went above and beyond, even getting in the water (with a hole in your welly) to capture our gorgeous engagement photos! When it came to our pre wedding catch up, you went through every element of our day; who was who, what we wanted, timings, photo opportunities, the lot! You made sure you were able to maximise our time to get a wide variety of photos yet ensure we had time for all the important bits of the day. On our actual wedding day you were AMAZING, a true professional. Both you and Kel just made everyone feel so at ease. You were like a part of the wedding party as opposed to the photographer. You knew everyone by name and smiled and laughed all day whilst capturing every moment, from the finest of detail to the entire guest list, all in your unique, beautiful style that sets your photos apart from the rest. But that is not all. When we met to go through all the pictures, it was clear that you had paid incredible attention to detail on each picture and enhanced the pictures to transform them into perfect portraits. The time and effort you (and your team) put in, not only on the day but beforehand, to get to know each couple and then to perfect each individual photo is amazing!! Every guest we speak to mentions you by name and says how amazing you were and how the style of each of your photos was so excellent and unique! We can't wait to see all the finished products!! Our story with Kelly Hearn Photography. We met Kelly in December 2013, 10 months before our big day. Not only did we have our wedding to plan, but we were also excited about having our first child who was due in April the following year. Kelly came recommended from the team at Upwaltham Barns. When we had visited our venue and saw her portfolio we thought the images were striking with a creative flare. After meeting Kelly in person she made us feel very comfortable with her energetic nature and knowledge of professional photography. We knew at this point Kelly was special and we wanted her to capture our wedding day. Before the wedding, we had the opportunity for Kelly to photograph us with our 9 week old baby son Morgan. It was great to see Kelly at work and how she was able to capture such special moments of the three of us. So our big day arrived on a lovely autumnal day in October. Kelly's organisational skills and eye for detail came into play to capture the special moments of our wedding day. Her fantastic sense of humour and good nature all shone through to make the photography on the day both easy and fun, including having to direct a rather boisterous grooms party! We were excited to meet Kelly to view our photos and build our album of our wedding day. It was amazing to relive the day through the photographs and see such great memories photographed in creative ways. The finished album that we received is very unique. The fine details that run throughout the album perfectly remind us of all the fun and tender moments of our special day. 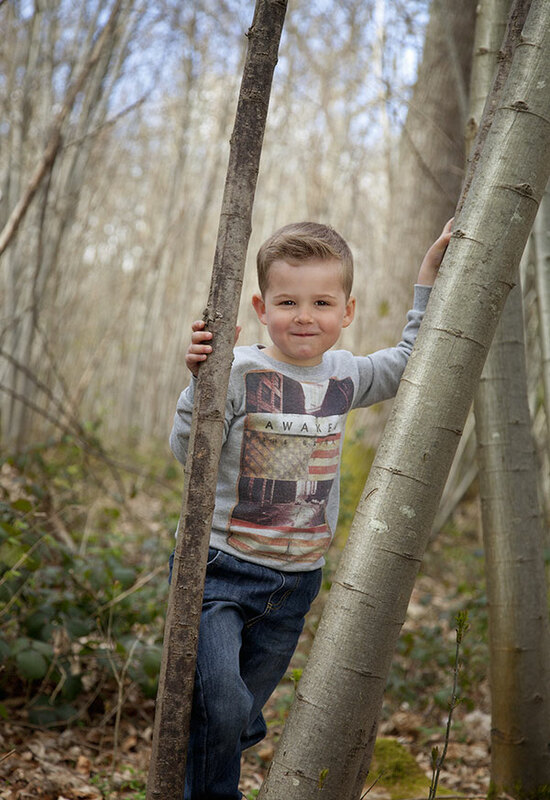 We can't thank Kelly enough for all our beautiful portraits, she has a real eye for photography, capturing such precious moments in such a natural way. We look forward to Kelly photographing more special moments in our lives in the future! From start to finish Kelly is very professional and a complete perfectionist. Kelly is very organised so you know you are in very good hands. Kelly captured our day so well with all the details which we loved about our venue, she organised all the family members, and captured happy natural moments and also set the scene for some more posed shots which were a great fun. I didn’t realised just how organised you need to be to be a photographer, with all the things going on at a wedding and especially as our niece Molly was born on the wedding day morning. She was a calming influence on me which I needed, especially that morning when I was not knowing what was going on. Kelly had the great idea of all the bridesmaids to hold up the phone with the text message I had with little Molly the first picture I had seen of her. Some of my favourite shots from our day were in the field next to the venue when the sun was going down. The evening colours were just gorgeous. We had some fun with the more posed shots on the sofas at the venue again which are great to recline on. Kelly was very creative with styling on the photos and very open to ideas. So many great photos, natural and more stylised. The colourings in the final edited photos are gorgeous, tinges of bluey grey, and highlights of pastel colours on the black and white work so well. All the images fill us with the romantic and happy feelings we had on the day. Thank you Kelly, we love our wedding photos and recommend you to all our friends. We would like to thank you for all your hard work creating our amazing wedding album. You are a true perfectionist with great enthusiasm for your work. I was so glad to have you there on our special day- you went above and beyond your call of duty to make sure our day ran smoothly. From the very first meeting to the viewing of our finished wedding album, you surpassed our expectations with your eye for detail and contemporary style. With my husband being 6ft 4 and myself only 4ft 11 we posed a little bit of a challenge for you with our extreme height difference. This was something I was quite anxious about as I didn't want to look awkward. However, it never phased you in the slightest and you had so many brilliant ideas to make our photos unique and fun. You were able to put us both at ease and direct us to produce a collection of beautiful photos that we are immensely proud of. We will most certainly be using your skills again in the future and highly recommend you to all our friends and family. Many many thanks- You are a star!! I cannot recommend Kelly Hearn Photography enough! When I told my partner Mark I wanted to have some photos of us and my pregnant bump and that I knew exactly who I wanted to take them, he wasn't keen on the idea, until we went and met Kelly! Kelly made us both feel so comfortable and made the shoot fun & enjoyable! Mark even came away saying how brilliant the photos looked after we had our viewing! So when it came to having our baby photos, I didn't even need to suggest where & when - Mark did that by himself! We have now picked up our bump photos & are waiting on our baby photos to be ready and we could not be happier with them all! Neither of us would want to go anywhere else & would recommend Kelly every single time! Thank you again. Jay and I would like to just say a very BIG thank you for our beautiful and extremely unique wedding album. It was an absolute pleasure to work with you starting with our lovely engagement shoot through to our big day. Our day would not have been the same without yourself and Kelly B, I had so many of the guests commenting on how fun you both were. We were so lucky with the weather on the day, though it never worried me as I just knew that you would capture our day just as I had dreamt; contemporary, fun and elegant. Your work is just stunning. Thank you Kelly. Dan and I would just like to say a massive thank you for all the hard work and time you put into making our wonderful wedding album for us. You have helped us preserve so many glorious memories that we will treasure all our lives. The album is stunning, absolutely perfect, thank you. You really have captured every special moment for us, we cannot put it down. Yourself and Kelly worked so hard for us on the day to make sure everything was perfect, I can’t believe that you even got some fab pictures of my Dad – that’s never been managed before. Everyone said how awesome you both were. We’re really grateful for the way you worked with everyone’s different personalities, especially when Dan was none too photogenic in the morning. What a great idea to get the boys in their different stages of getting ready, it worked so well and looks really creative. We love the uniqueness of our photos; this was one of the reasons we wanted you to photograph our special day so much. You managed to capture everything we ever wanted, and more. The parent and mini books were such a wonderful idea and we loved being able to give them to our families as gifts. We have the calendar up in the lounge, which everyone comments on. We’re so happy with the final outcome and will treasure it always. Kelly had already photographed two of our family weddings, so we had a head-start on most newly engaged couples looking for a wedding photographer. We already knew that Kelly’s unique but sophisticated style was exactly what we were looking for- we wanted an album that was timeless, and one that wouldn’t embarrass our children in years to come! Every photograph is a masterpiece with Kelly, working effortlessly, and with such close attention to detail, to make sure that every hair and fibre is in the right place before she takes the photo. She was a true professional from start to finish. From the first time we met her to discuss what we wanted, to the pre-wedding photo shoot, through to the wedding, and beyond. We trusted her immediately to produce the kind of album we were looking for. On the big day itself, Kelly and her team were calm and organised, whilst being firm enough to get nearly one hundred guests into the right place at the right time for the group photo! Her artistic nature makes our wedding photographs feel truly individual, but only when you look at her past work do you realise that she achieves this for every single project she shoots; no two photographs are the same. We would recommend Kelly without hesitation, her work is second to none, and we could not have asked for a better collection of photographs from our special day to cherish forever. It's been an absolute pleasure having Kelly as our photographer over the years. Kelly has captured our family portraits and now our wedding day...on every occasion Kelly has delivered stunning images full of creativity and originality. Technically gifted with a friendly and helpful manner makes her the true professional. We cannot thank Kelly enough for all the effort she has invested in creating us timeless images which we will never tire of admiring. "I just wanted to say thank you so so much for everything yesterday we cannot thank you enough you made everything so easy and totally seamless and had such a fantastic day. We're so excited to see the pictures, thank you again for making us so comfortable and making something we were so anxious about enjoyable, even in the heat!" Kelly captured our day perfectly.. .we had a very special day made even more so by Kelly & her team, nothing was too much trouble, we forgot they were there and that enabled the story to be told in pictures. Thank you so much for such an amazing wedding album. We loved the originality and quality of your work. You have captured the real essence of such a perfect day for us and everyone there. We have some wonderful pictures that will bring us lovely memories for years to come. Thank you also for all the effort that you put in to such a creative, artistic album.